Community Health and Wellness Center of Greater Torrington today announced the successful launch of its Medicare Chronic Care Management Program with Connecticut-based patient health management and technology solutions company Stone Health Innovations. “What began as a conversation with Stone Health Innovations’ CEO, Susan Lanesey, RN, MBA, about helping us to develop our team-based care processes led us to understanding more about the new CMS Chronic Care Management Program (CCM) and the associated patient benefits and revenues tied to it. Stone Health helped us to understand that the program could help us to support our desire for a stronger team-based approach to care while also helping us to improve the care coordination to our Medicare patients, improve our quality metrics and drive much-needed revenue into our Center,” says Joanne Borduas, RN, BSN, MSN, MBA, CEO of the Federally Qualified Health Care Center-Community Health and Wellness Center of Greater Torrington. As FQHCs struggle with the ever-changing risks to reimbursement at their facilities to support their care coordination programs, they are looking for strategic ways to not only receive reimbursement for the critical services they provide to their underserved patient population but also to improve engagement of those patients in their healthcare and increase market share. The Centers for Medicaid and Medicare Services (CMS) Annual Wellness Visit (AWV) and Chronic Care Management (CCM) programs have not been widely adopted by FQHCs. Many are unaware of the existence of the programs. CMS has recently launched a campaign to widen the knowledge of these programs, in particular, the chronic care management program, recognizing that the programs are underutilized but offer significant value in improving the healthfulness of patients and reducing utilization of higher cost of care services. “In doing some research, I believe we are one of the first FQHCs to have implemented the Medicare CCM program, and I’m proud of what we have accomplished,” offered Joanne Borduas. Market consolidation, reimbursement changes and the movement toward transparency in healthcare have created substantial competing priorities and strategic confusion for healthcare organizations. Finding and implementing programs that are not siloed but instead fold in easily with current practice flows while bringing in new revenues, optimizing human resource capacity and supporting an overall patient care strategy is paramount. “Moving forward, we’re adding on more staff coordinated around our new program, further integrating the program into our team-based care efforts. We are pleased that Stone Health Innovations will continue to work with us as a consulting partner to strategize on new opportunities, process flow innovations and resource training and provide long-term oversight of our program to ensure continued financial and quality outcomes through their consulting services,” reported Ms. Borduas. 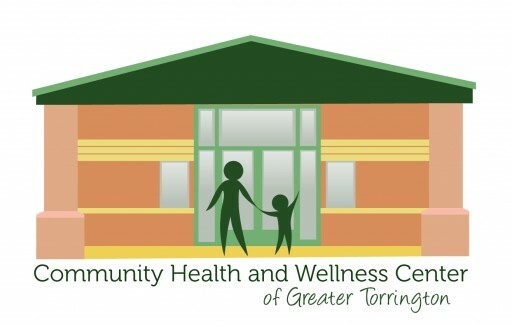 Community Health and Wellness Center of Greater Torrington is a progressive FQHC in Connecticut who engages patients across numerous clinics and community service functions. Go to: http://www.chwctorr.org/ to learn more about Joanne Borduas, RN, BSN, MSN, MBA, CEO and her team.